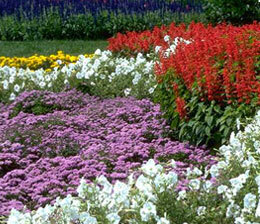  Use Ground Effects Garden Compost to improve garden soils, soil for new lawns, and raised beds for flowers.  Mulch keeps soil moisture from evaporating and also smothers weeds that compete with the plants.  Put away your wheelbarrow and let Ground Effects apply your soil or mulch using our Blower Application Service.